Although I write primarily about movies, my interests also include other realms of pop culture like music, books, and television. It’s difficult to do justice to even one of these subjects on a 45-minute weekly podcast. 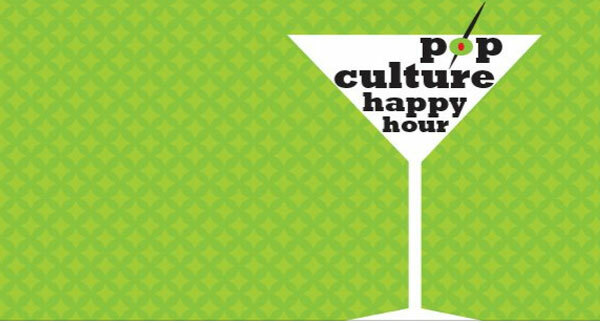 That challenge makes the success of NPR’s Pop Culture Happy Hour (PCHH) even more impressive. The friendly, knowledgeable panel has a great time covering the latest news and offerings from all over the map. The combination works because the participants bring their own expertise to the table. Linda Holmes hosts the weekly fun and keeps everything flowing smoothly while having plenty to say. She previously wrote TV recaps for Television without Pity, and her crazily detailed coverage of each Survivor and Amazing Race episode as “Miss Alli” was remarkable. She’s since moved on to NPR and leads the Monkey See blog for their arts section. Hosting a professional weekly podcast is no joke, and she makes it seem effortless. PCHH works because of the panel's camaraderie, and their conversations feel like what you’d hear from close friends at a local bar. They’re a diverse bunch with passions for many different subjects. 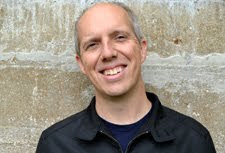 Stephen Thompson from NPR Music has so much knowledge about that area but rarely gets pretentious. He’s as much a fan as a critic and brings that passion to discussions even when they aren’t discussing the latest artists. Thompson formerly worked at the A.V. Club, and his demeanor matches the tone of that excellent site. Glen Weldon is the comic-book star and recently finished a book about the history of Superman. He’s also an expert on geeky pursuits and excels at taking down the pratfalls of fan entitlement. The other regular panelist is Trey Graham, whose interests are more high-brow. He’s a theater aficionado yet keeps his thoughts down-to-earth and entertaining. This podcast snaps along and is such a warm show that I’m hooked even when the topic isn’t in my wheel house. The main reason is that I’m connected to the hosts and want to hear them riff on the latest happenings. They rarely take themselves too seriously and do silly games like the “Regrettable Television Pop Quiz”. That segment includes clips from the worst reality TV productions and asks the hosts to guess the shows. It’s a personal favorite and is only one example of many that maintain the fun. Although everyone works professionally for NPR, they’re much different than the self-important intellectuals you might expect. Guests like the wonderful Barry Hardymon and Tanya Ballard Brown keep the show unpredictable and bring a nice jolt to the normal structure. They slide well into the main spots and keep the show cohesive even when it’s missing the regular stars. Each PCHH show concludes with the “What’s Making Us Happy This Week” segment, and that’s frequently the best part. It perfectly embodies the tone of this podcast, which brings together energetic voices who remind us that it’s okay to love pop culture. Even within this model, they still dig into some pivotal issues for the future of the mediums. Linda’s passionate concerns about the Kickstarter model following the Veronica Mars success were fascinating. By the time they finished the discussion, my feelings were a lot different. The debate was sharp and intelligent, yet it remained entertaining at the same time. It takes an extremely capable group to pull off that combination, and this fine gang does it every week. This brisk, relaxed podcast is one of my favorites and deserves a lot more attention. I love this show. The one where they talk about the changes in TV theme songs killed me. I can't watch Game of Thrones without singing their words. Jess, that was a classic episode. I have the same problem when watching the Game of Thrones credits now. It's a grand theme, yet all I can hear is Glen Weldon singing. I've been listening right from the start, and I love the podcast. Their recent conversation about sequels and warning signs was so great too.